It’s possible that we are at the dawn of the Golden Age of cruising from Australia and the South Pacific. More cruise lines than ever are offering Australia cruises and they are sending some of their best ships to make these trips. From short sampler cruises to week-long getaways to voyages that circumnavigate the continent, there are itineraries that explore all of the important destinations that cruises from Australia and the South Pacific offer. View all 1 to 4 night Australia cruises, slightly longer 5 to 7 night Australia cruises, 8 to 14 night cruises that incorporate Australia and at times other countries, and longer Australia cruises of 15 nights or more. 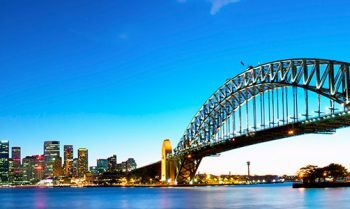 Alternatively, view our recommendations on the best Australia cruise deals, or you may also wish to view South Pacific cruises or New Zealand cruises. Or, jump to cruises from Sydney, cruises from Brisbane, cruises from Melbourne, cruises from Adelaide, or cruises from Perth. Who’s Sailing Australia Right Now? 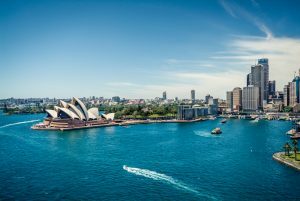 Australia is one of the hottest cruise destinations in the world and so it’s no wonder that every single cruise line is closely looking at ways to bring their vessels to the region. You’ve got plenty of options when it comes to booking cruises from Australia. 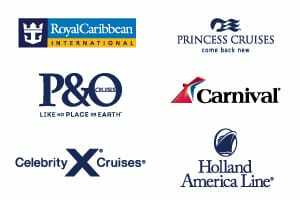 Here are some of the lines offering Australia cruises right now: Azamara Cruises, Carnival Cruises, Celebrity Cruises, Cunard Cruises, Holland America, Norwegian Cruise Line, P&O Cruises Australia, Princess Cruises, Royal Caribbean Cruises, Seabourn Cruises, and Silversea Cruises. The temperate climate of both Australia and the South Pacific make them both year-round cruise destinations. October through April, known as “Wave Season,” are the most popular months to cruise and therefore you’ll find the most departures offered during that time period. 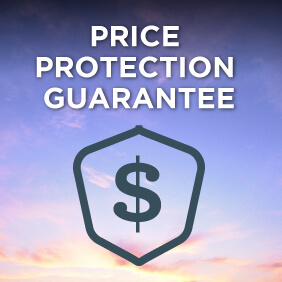 March and May are “shoulder season” months, which can sometimes yield excellent prices on cruise fares. The winter months of June, July, and August can be a bit cold in southern Australia but you can still tour ports in comfort. The summer months of December through February bring hot weather, sometimes as warm as 35 to 40 degrees. Carnival sampler cruises, Cunard sampler cruises, P&O Australia sampler cruises, Princess sampler cruises and Royal Caribbean sampler cruises all offer two-, three-, and four-night sampler Australia cruises so you can get a feel if a cruise is the right sort of vacation for you before you commit to a longer voyage. These brief getaways embark from Sydney, Brisbane, Perth/Fremantle, Adelaide, and Melbourne and most of which just cruise into the ocean and back again. Queensland in the northeast quadrant of the continent with the Coral Sea lapping at its shores offers a paradise for cruise travellers that call on ports from Brisbane in the south to Airlie Beach, Cairns, Yorkeys Knob, and Port Douglas further north. 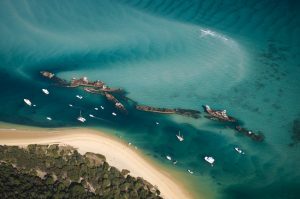 Visits to these destinations are paired with scenic sailing and excursions to the Great Barrier Reef that stretches more than 2,300 kilometres off the Queensland coast. Most itineraries covering Queensland and the Great Barrier Reef are seven-, eight-, or ten-night round-trip affairs from either Brisbane or Sydney. View cruises to the Great Barrier Reef and Queensland. 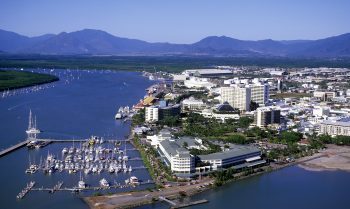 Cairns: Cairns is considered to be the gateway to the Great Barrier Reef as well as Daintree Rainforest. When you visit Cairns, you’ll likely focus on excursions that bring you closer to nature and to some of Queensland’s most beautiful beaches. 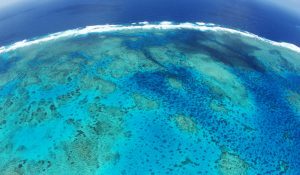 Many trips to the Great Barrier Reef Marine Park start with a catamaran voyage to Green Island, a 6,000-year-old coral cay within the marine park. You can enjoy the beach, swim, and snorkel or tour the reef via a glass-bottom boat. Those who forgo a seaside adventure can visit Cairns Botanic Gardens or take the Skyrail Rainforest Cableway to Kuranda Village mountain retreat deep in the rainforest. Port Douglas: One hour north of Cairns is Port Douglas. This former fishing village is home to some of Queensland’s most exclusive resorts and a bevy of gold sand beaches like the palm-lined Four Mile Beach at the end of Macrossan Street. This is another port that can get you close to the Great Barrier Reef and many activities revolve around the beach, kayaking, snorkelling, water skiing, and jet skiing. In the early 1800s, the British turned to Tasmania, an expansive island off Australia’s southern coast, to establish a penal colony. Known as Van Diemen’s Land back then, Tasmania is now a popular cruise destination in its own right. Much of its vast wild areas are part of a network of wildlife reserves, and cities like Port Arthur and Hobart have deep histories. 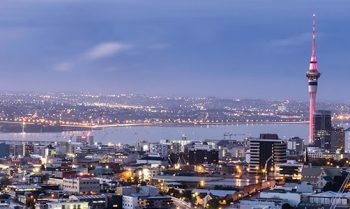 Hobart: Most Tasmania cruises overnight in the island’s capital city of Hobart—Australia’s oldest city after Sydney—since there is a lot of ground to cover here. This beautiful waterfront is at the foothills of Mount Wellington and at the mouth of the Derwent River. You can stroll the waterfront; enjoy the Tasmanian Museum and Art Gallery or Royal Tasmanian Botanical Gardens; visit the craft shops, restaurants, and outdoor market of nearby Salamanca Place; or head to the beach or mountains. 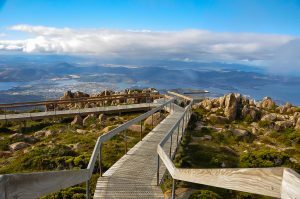 One of the most thrilling shore excursions you can take is the Mount Wellington Descent by Bike. A bus will take you to the top of the summit where you’ll enjoy panoramic views of Hobart and distant mountain ranges. You’ll then suit up in some cycling gear, hop on a bike, and spend the next 90 minutes pedalling down the 4,000-foot mountain. The scenery is gorgeous. If biking down a mountain is more adventurous than your comfort level, another popular excursion is to nearby Richmond, a former penal colony that is now home to the Bonorong Wildlife Sanctuary. Koalas, kangaroos, wombats, and the infamous Tasmanian devil make their home here. Port Arthur: In 1830, a timber station was settled at Port Arthur and authorities soon realised its potential as a penal colony. By 1877, more than 12,000 convicts lived in the colony. The village survived the test of time and today you can walk through 30 restored penal colony buildings as well as a colonial garden and cemetery. Travellers are immediately struck by the duality of Port Arthur’s origins: the harshness of incarcerating the country’s most notorious criminals in contrast to the stunning peace and beauty of the surrounding areas. The coast here is dramatic with soaring cliffs and rock formations carved by the sea over the millennia. Most cruisers take a tour to Tasmanian Devil Conservation Park. This is the place to see Tasmanian devils as well as kangaroos, wallabies, eagles, hawks, and more. Cruise lines often package the conservation park with a visit to an area chocolatier. Individuals who aren’t interested in animals can instead choose a multi-hour excursion that covers the Port Arthur Historic Site, Pirate’s Bay Lookout, Eaglehawk Neck (the isthmus connecting mainland Tasmania to the Tasman Peninsula), a local winery like Bream Creek, and Port Arthur Lavender Farm. Cruise lines like Princess offer a complete circumnavigation of Australia, calling on major ports like Sydney and Newcastle in New South Wales; Brisbane, Airlie Beach, Cairns, and Port Douglas in Queensland; Darwin in the Northern Territory; Broome, Port Hedland, Geraldton, Perth/Fremantle, and Margaret River in Western Australia; Adelaide in South Australia; and Victoria’s Melbourne. Those sailings—usually clocking in at 29 or 30 days—sell out fast so make sure you stay in touch with Cruise Guru if you want to book one. “Bottom End” Australia cruises are also available with itineraries that cover ports between Perth, Sydney and New Zealand while sailings on the south coast. Sydney: Those dreaming of an Australian cruise typically think of Sydney as a perfect jumping-off point. Sydney Harbour Bridge and the glorious architectural triumph that is the Sydney Opera House are two of the most photographed icons in the entire world. But, there’s more to discover here, from sandy stretches like Bondi, Bronte, and Palm Beach to the Sydney Harbour National Park to the Blue Mountains, there is a lot to keep you here both pre- and post-cruise. Many cruisers explore independently or take an excursion that stops at Sydney’s Taronga Zoo; Royal Botanic Gardens; Sydney Opera House for a backstage tour; Sydney Harbour Bridge, where you can walk across or take a climbing expedition into the superstructure itself; or stroll the Bondi to Coogee Walk that links the areas finest beaches. Brisbane: The city of Brisbane may be modern but it’s tucked into one of Australia’s most beautiful natural settings with the Glasshouse Mountains to the north and the Gold Coast’s Hinterland to the south. 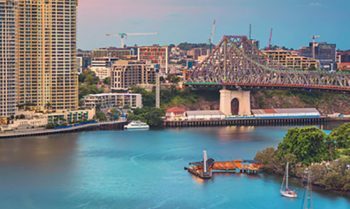 First-time visitors to Brisbane often book an introductory shore excursion that focuses on a walking tour of the city with views of Brisbane River, a visit to a botanical garden, and picture opportunities atop Mount Coot-tha with the city as the backdrop. Other cruisers opt for a scenic drive to the Gold Coast for a beach day. Still others head for the Lone Pine Koala Sanctuary or the Australia Zoo. 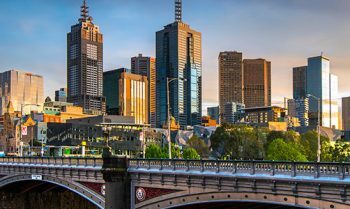 Melbourne: You may have heard the news that the Economist magazine named Melbourne “the world’s most livable city” for five years running. 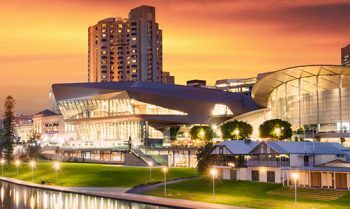 Shore excursions here can mean exploring museums and botanical gardens, enjoying fine cuisine and local wines, and discovering the “hidden gothic laneways” that are tucked behind the newer city avenues of Federation Square and Flinders Street. They are home to trattorias and cafes as well as boutiques and art galleries. Some tours focus on the architecture of the city, including Victorian-era landmarks like St. Patrick’s Cathedral, St. Paul’s Cathedral, and Flinders Street Station. For something more modern, tour the Art Deco beauty: Manchester Unity Building. Other excursions call on the busy outdoor Queen Victoria Markets, the National Gallery of Victoria, and the Melbourne Zoo. You can also explore Brunswick Street, Melbourne’s Bohemian Soho strip where people of all strips go to eat, drink, dance, and shop. The Australian Open is held in Melbourne annually and some cruise lines offer voyages that include tickets to the tennis matches. Day-trips visit the wineries of the Yarra Valley, just 90 minutes from the city. 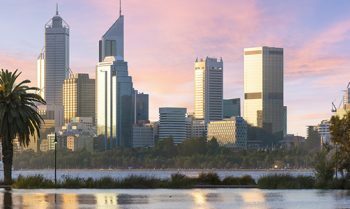 Perth: Home to Swan River and the Swan Valley, Perth in Western Australia is a charming seaside enclave offering myriad ways to spend the day in port. Excursions abound for those who want to take perfect photos of the beautiful scenery. 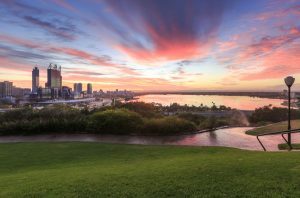 Visits generally include Kings Park and the Perth Botanic Garden, where the views of both the Swan and Canning Rivers with the Darling Ranges in the distance can’t be beat. Sometimes tours also include visits to the Western Australian Museum, the Art Gallery of Western Australia, or the Perth Zoo. Head 25 minutes northeast of Perth’s city centre and you’ll be in Swan Valley, Australia’s oldest wine region. There are plenty of excursions that include a visit to a prestigious vineyard. You will find historic Fremantle Harbour 30 minutes south of Perth, where people flock to visit Fremantle Prison, the Arts Centre and Old Courthouse, and the Maritime Museum and Shipwreck Galleries. Also look for cruises labelled “Northern Australia.” These trips generally travel between Perth/Fremantle and Brisbane with calls on places like Geraldton, Broome, scenic cruising along the Margaret River, Albany, Kimberley Coast, Darwin, Cairns/Yorkeys Knob, and Papua New Guinea’s Alotau. View cruises from Perth. Cruise lines also offer Australia cruises along a southern coast route, generally sailing between Perth/Fremantle and Sydney and visiting places like Adelaide and Melbourne. View cruises from Adelaide.